Bishop Gerald F. Kicanas, retired bishop of Tucson, Arizona. 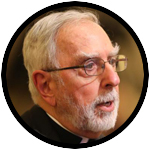 In this guest commentary for Catholic News Service, retired Bishop Gerald F. Kicanas of Tucson, Arizona, says there is “much to celebrate” about the nation’s Catholic schools during National Catholic Schools Week. The bishop is chairman of the board of the National Catholic Educational Association and a member of the U.S. Conference of Catholic Bishops’ Committee on Catholic Education. National Catholic Schools Week (Jan. 28-Feb. 3) highlights the significant contribution of the 6,300 Catholic schools that serve 1.8 million students and their families and communities. This week gives us much to celebrate and provides an opportunity to advocate for greater government support to make it possible for more parents to choose the best school for their child. We celebrate the diversity of students served by our Catholic schools. Since St. Elizabeth Ann Seton opened the first parochial school for girls in Emmitsburg, Maryland in 1810, Catholic schools have proudly and intentionally served the neediest and most ethnically diverse populations. Catholic schools look like America; they serve children from all segments of society. Our doors are open to the poor, the immigrants and families of all faiths and beliefs. Nationwide, 20.8 percent of the students are racial minorities — 17.4 percent are Hispanic/Latino — and 19 percent are non-Catholic. To ensure access to school choice for all children, particularly those of low and modest incomes, and in keeping with President Donald Trump’s campaign promise, Congress should write a national education tax credit plan to create scholarship granting entities (SGOs) in every state. These organizations would raise funds from private donors and businesses using the benefit of a federal tax credit without taking any money out of the federal or state education budgets. The funding source would be a new stream of private money, stimulated by the federal tax break. Parental choice is just an idea if there is not funding to enact real change in the lives of students. Editor’s Note: More details on the research, statistics and church documents referenced in this guest commentary can be found at www.usccb.org and ncea.org. PREVIOUS: Are we empowering women, or the men who patronize them?